Map shows planned security checkpoints at the National Zoo. The Smithsonian intends to put security checkpoints around the National Zoo, similar to what is now in place at its various museums. 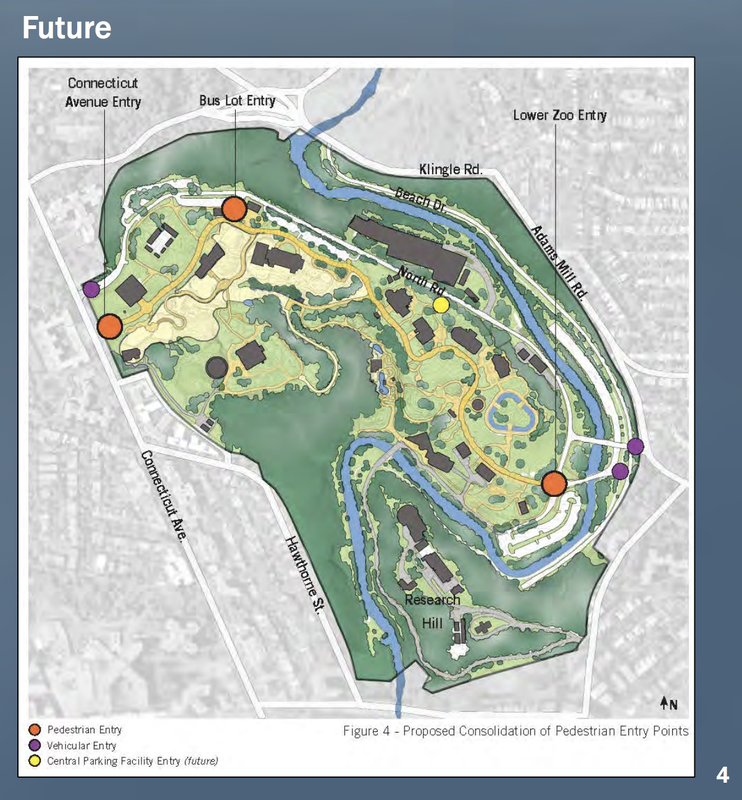 The plan is drawing complaints from people who see it as a major change in the zoo's integration with the neighborhood. Many local residents walk through the zoo, which is fully integrated with the Woodley and Cleveland Park and Adams Morgan neighborhoods. This easy access will be missed and has been one of the charms of the park. This plan won't impact the Adams Mill entrance, it appears. The zoo is largely a place for families and we can't pretend the world isn't changing.